"Sharon went above and beyond to help us sell our property in such a short period of time. Not only did Sharon find the buyers within 2 days after the property was listed on the market, she also ensured the buyers mortgage application went through smoothly. We felt we could rely on Sharon completely during the whole process. Thank you!" "Just wanted to let you know how much we appreciate all of your hard work and hours spent finding the right family for our parent’s house. We wouldn’t hesitate giving your name to someone looking for a realtor. "We recently had a property up for sale. Sharon went above and beyond through the whole process to help us sell the property within three months. The following are a couple examples of Sharon's great work: 1. A purchase agreement was signed two days after the property was listed on the market; Sharon helped us find the buyers. 2. Sharon worked diligently with the buyers' mortgage company to ensure the mortgage would be obtained within a reasonable time frame, and the closing would occur as planned. 3. The recommended home improvement contractors were all excellent. We highly recommend Sharon Norton as your next real estate agent to consider!" "Sharon was diligent in finding us a house on a crunch time schedule. Thanks Sharon!" "Thank you Sharon! Buying my new home was exciting and less stressful knowing you were handling everything for me. It's such a special trust we shared. If I had a question you had an answer or found it. You should be realtor of the year (if there is such a thing). You are fantastic in your job." "Thank you for selling my lake property so quickly. I am grateful for how easy you made all the paper work and the communication with me being out of state." "I enjoyed working with Sharon. She was "down to earth" and got the job done." "Sharon did a great job despite the market in the area. She was very good at communicating with us and getting documents to us when needed. Closing took about 10 minutes...which gave us time to go out and celebrate! I thought Sharon did an excellent job and would recommend her to anyone selling in the area." "Sharon helped us so much in our search for a new home. She worked very hard to answer all of the questions we had. Sharon was always a phone call away. As we settle into our new home Sharon is still just a phone call away. I couldn't have asked for a better realtor. Thanks Sharon!!" "Thank you so much Sharon for all your hard work in selling my home. I would highly recommend to people to use you and RE/MAX to sell their home! Your staff as well was so kind. Thanks again!" "Sharon is one of the hardest working realtors in Jackson. We have referred clients to her in the past and she was able to sell their homes as well as mine. She keeps you updated and current on your listing and progress. She gets results!!" "I can only give high praise to Sharon Norton for selling my property." "Highly recommended! Sharon was always very quick to respond to our questions which we had a lot of :) She gave us good advice when we needed her opinion. We took a long time to find the home we were looking for and she stuck with us until we found "the one!" She made the process easy!" 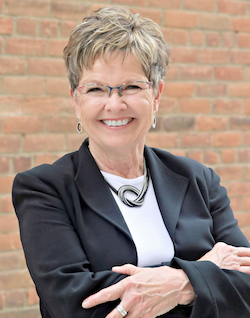 "Sharon Norton has been honest, friendly and professional in all of our dealings. She has been very helpful in the sale of our home. She has continued in the help of our transition. We would recommend her as an agent to all of our friends." No hesitation on who we would call! "Sharon has assisted us with the purchase / sale of two homes. When it came time to purchase another home we didn't hesitate to contact Sharon again! Her years of experience and real estate expertise take the stress out of a home buying experience. We always knew that Sharon had things under control and was looking out for us." "We were pleased with the ability and professionalism. She pays attention to detail and listens to your needs. We would highly recommend her for your real estate needs." "It was a pleasure working with Sharon Norton. She not only helped us sell our current home but also helped us sell our rental house earlier this year. She is professional and always kept us well informed with everything we needed to know. I felt she had our best interest in mind. I would strongly recommend Sharon to anyone looking to buy or sell a home." "Based on a recent experience with Sharon Norton as our agent, we can say enthusiastically, that she is a person of solid professional knowledge and dedication to a level of customer satisfaction that we have not seen during many similar transactions over a long period of time. Professionals like her are hard to find, therefore we give her our highest recommendation." I want to thank you so much in your help with finding me a house. You stuck by me and kept me informed every step of the way. To me, you went over and above. Thanks again." "Sharon was very helpful and worked very hard to answer every call and question we had through the process of selling our house and helping us find another house to buy. My wife and I highly recommend Sharon and the ReMax team..."
"I would like to thank Sharon Norton for selling my house. She was very patient with me when I didn't understand some things in the home market. She explained to me what I should expect the step by step. She was also very professional and organized. She called and kept in touch with me on a daily basis. I enjoyed working with her and recommend Sharon to anyone who wold like to sell their property." "Sharon acted in a very professional manner and was helpful and courteous in the purchase of my home. I would have no problem referring her to anyone looking to buy a new home or sell their home." "Sharon Norton was the third realtor we interviewed and liked her immediately. She was always available to answer any questions I may have had. She offered suggestions on making our property more appealing to prospective buyers and kept us informed whenever a showing was to take place. An excellent agent to work with the entire time!" "Sharon made the experience of buying a home for the first time a pleasure! Sharon was so patient and kind while the determination of funds was in process. Thank you!" "Sharon Norton was very pleasant to work with. Sharon followed through on every detail & kept us informed about everything as the process went forward. If we are ever in need of or know anyone who is in need of a Realtor, we will definitely recommend her. Thanks Sharon for all your help!" "I am very pleased with the service I received from Sharon Norton of RE/MAX. I could have not have asked for a better experience. Sharon and the other people involved were always very nice & helpful with the sale of my house. They put a lot of work and effort to make the sale of my house a huge success. This was the third time I had the pleasure of working with Sharon and will definitely call on her again. Thanks again to Sharon Norton & RE/MAX!" "Sharon helped me find a home for myself, my son and 2 grand kids. She showed us everything we asked to see and was very considerate of our demands and was very patient with the time it took us to find exactly what we wanted. Thank you for helping us and putting up with the time it took to make us happy." "As a past mortgage broker, I have to say that Sharon is the exception to the rule. Most Realtors don't follow up, return phone calls or make it to appointments on time. Sharon worked with me after I contacted her about one of her listings and was so honest and straight forward I was comfortable having her as a dual agent. The deal didn't work out, but I will definitely use her in any future deals!" "I have had a long business relationship with Sharon Norton for a lot of years now. I find her to be an honest, hardworking person who takes her job very seriously. I always refer her to friends and family every chance I can and in my book you cannot go wrong in hiring her to work for you!"